Your cat will enjoy the 12″ inch high platform with two decks to give your feline friend plenty of space. The platform system comes completely assembled. Attach legs to the platform and insert the house. 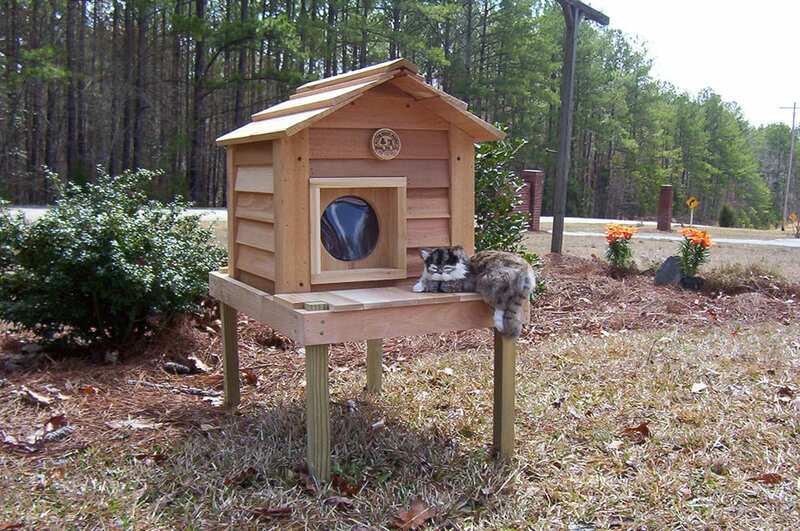 Your cat will enjoy the 12″ inch high platform with two decks (front deck 21″w x 8″d, rear deck 21″w x 5.5″d. This will give your feline friend plenty of space. The platform system comes completely assembled. Attach legs to the platform and insert the house.